Color your fishing boat, power boat or pontoon boat with our marine supplies of boat pinstripe vinyl tape. We have a wide variety of boat pinstripe vinyl tape from marine vendors you trust. This is original boat pinstriping used by Tracker, Starcraft, Mirage, Lund, Bayliner, US Marine and more! Want custom pinstriping? 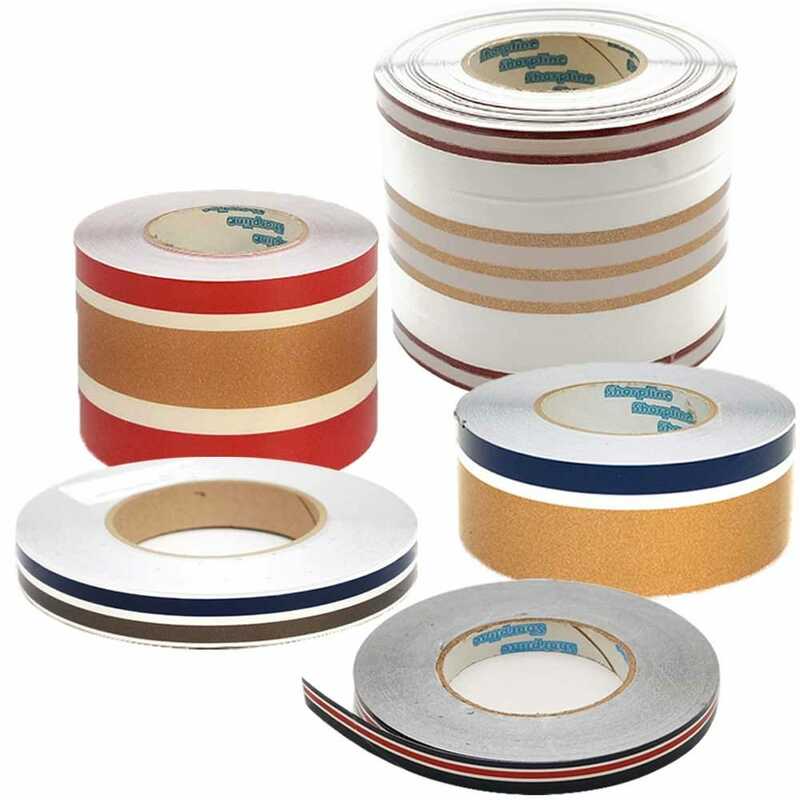 Our marine supplies include boat pinstripe vinyl tape from 1/8 inch to over 1 foot. Use boat pinstriping to decorate your boat, car, RV, motorcycle, home and more! Need pinstriping for your pontoon boat? Our pontoon boat pinstripe vinyl tape category is just for you! Our discount marine store specializes in marine accessories, marine equipment, boat parts and accessories. New marine accessories added every day, with thousands of boat parts, marine equipment and marine supplies listed monthly!